35 Ton Marine Travel Lift Has Factory Price Portable Wight Convenient Use Great Choice For Light Duty! 35 ton marine travel lift can save much energy, increase efficiency and improve working condition. It is a kind of portable mobile lifting crane. This travel lift crane has many advantages, such as light weight, flexible move, simple system, durable material and reasonable design! This boat hoist crane is widely used for lifting boat from water, putting boat into water and maintaining boat on the land. Thus it is amphibious, and the material is anti-corrosion and anti-water. Boat hoists installed by docks are often freestanding in the water, because they’re heavy enough not to be moved by the current. When necessary, they’ll be anchored in the rock. Most have a frame containing a series of bars, called bunks, which cradle the boat’s hull when it’s hoisted. The bunks are carpeted to reduce the potential for scratching the hull when the hoist is used. 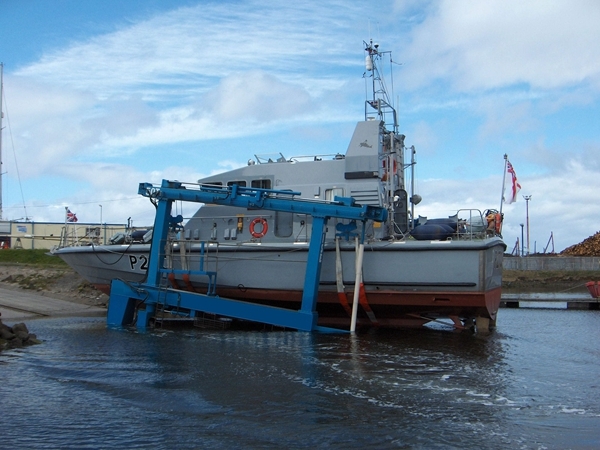 The boat is simply positioned over this platform and then it’s activated. Ellsen Group, a well-known and professional travel lift supplier in China, provides top quality boat hoist cranes with affordable price, such as electric boat hoist, hydraulic boat hoist, construction travel lift, travel lift for water sport meetings, aquatic clubs and voyages, safe driving steady boat hoist, ISO approval marine travel lift, remote control boat hoist, cabin control boat hoist, high lift capacity travel lift and small boat hoist crane. All these travel lifts are designed and produced according to national standards and requirements. Want to save cost? Want to purchase suitable travel lift? 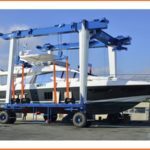 Just buy Ellsen marine boat travel lifts now! 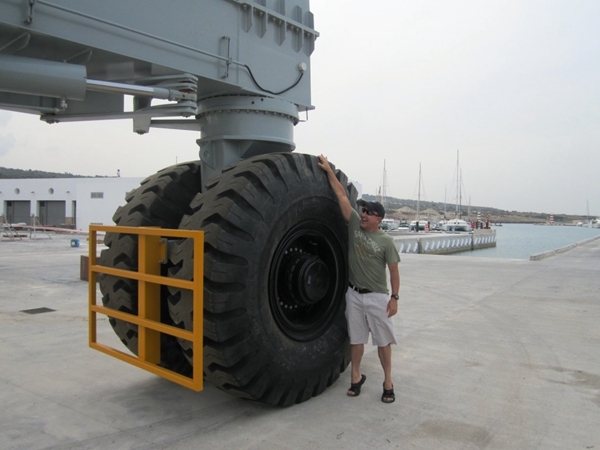 Where to purchase cost-effective 35 ton marine travel lift? 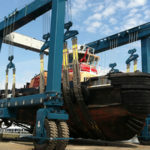 Want to purchase reliable marine travel lift? Remember to buy travel lifts from professional suppliers. 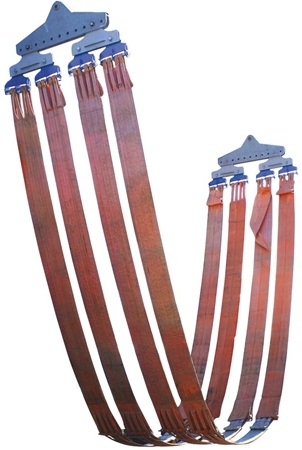 Reliable manufacturer means strict producing standards, practical design, complete safety protection devices, durable material, terse structure, ensured after-sale service! Professional travel lift manufacturers have their own factories. 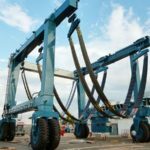 They sales boat hoist cranes at factory price! This makes mobile travel lifts affordable! Ellsen is such a great travel lift manufacturer. Its products have been exported to more than thirty countries, such as America, Australia, India, South Africa, Canada and many other regions. Ellsen marine travel lifts have won trust and high praise! How to choose a reliable travel lift factory? Every customer wants to choose a powerful boat hoist factory. 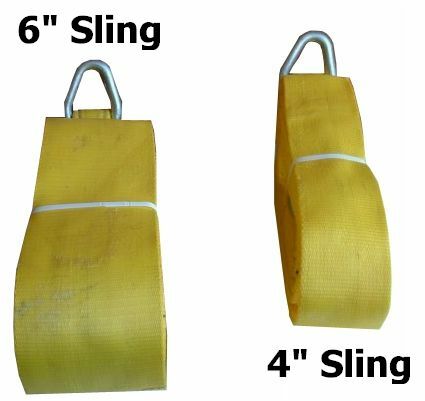 A strong travel lifts factory means professional technique, affordable price, top quality, reliable safety protection devices and perfect after-sale service. Responsible factory can provide the advanced skills, strict producing process and comprehensive service. 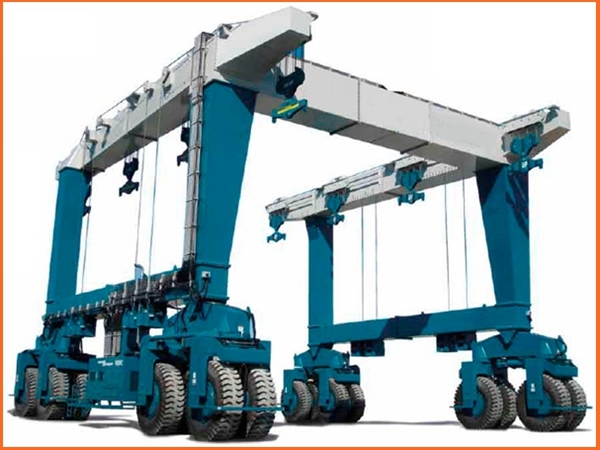 A strong boat lift factory design and produce cranes according to national standard. What’s more, experienced engineers can design boat hoist for clients. The customized service is the main advantage. 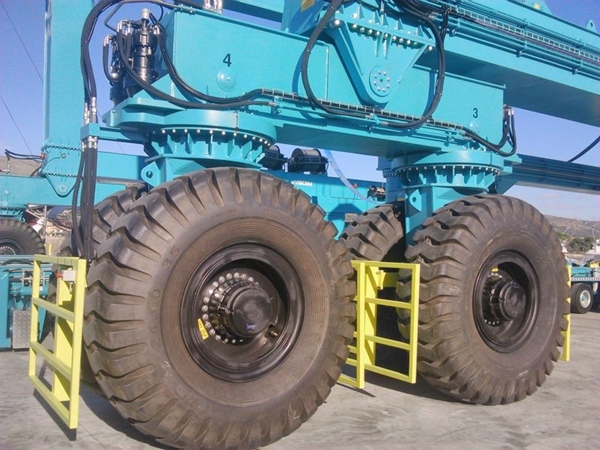 It can ensure suitable sizes, working speed and lifting tons for what customers need. Customers can buy suitable mobile boat hoist with good price. Mobile boat hoist factory influence quality, price, safety and service directly. When choosing a factory, first check and surf the name on the internet. For a strong boat hoist factory, it has official website to promote the products. Learn customers’ remarks, strength and scale of the company. The more you get, the clear you become. The direct way is to visit the factory. The third way is to get information from other friends and customers who bought crane once. 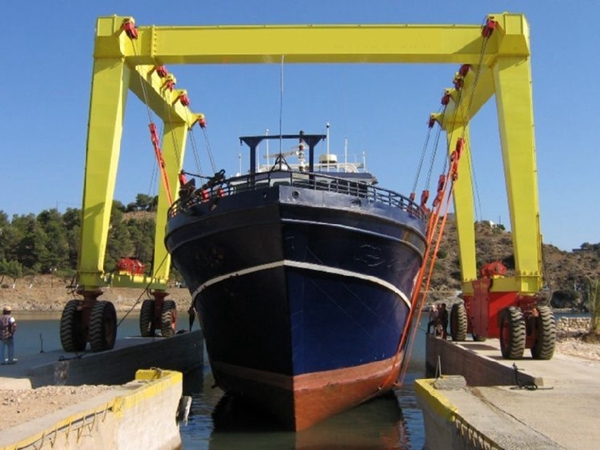 This is one reliable solution for purchasing cost-effective boat lift crane. Ellsen Group is a well-known company in China. Its high reputation absorbs a number of strong marine travel lift factory. 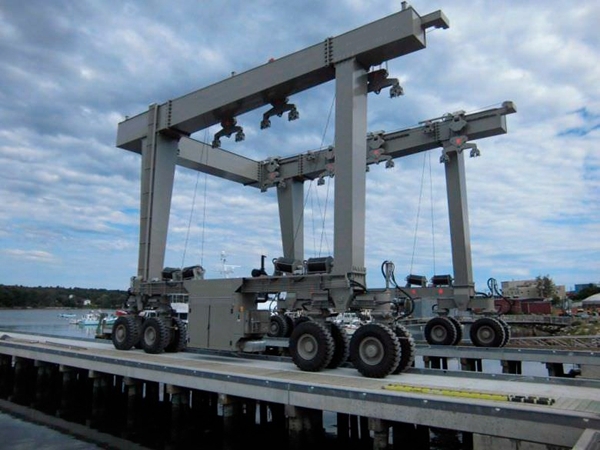 Those marine travel lifts have been exported to more than 30 countries. Most clients have repeat cooperation with Ellsen. Why do so many customers buy boat lifts from Ellsen? The reason is that Ellsen always put the customer on the first place. 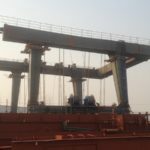 For the sake of customers, Ellsen keep the quality strictly, cut down the price of sailboat hoist, check the crane carefully for perfect condition and pay attention to after-sale service and customers’ feedback. Why do more customers choose China travel lift? China marine travel lift has been exported to countries and regions. Made-in China products ensure excellent quality and factory price. For performance, China boat hoist crane can move towards any direction. Flexible travelling makes it high efficiency. This can save much time and labor resource, and improve work condition. China travel lifts have various types for wide application, such as construction travel lift, wharf travel lift and dock boat hoist. For price, China boat lifts can make customers save much cost. Ellsen provides good price travel lifts with great performance. 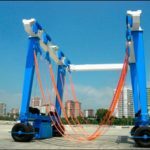 These cheap boat hoist cranes also have high quality and wide use, such as travel lift for aquatic clubs, water sport meetings and voyages. As a well-known crane supplier, Ellsen provide China travel lift with advantages, such as stable performance, flexible move, easy operation, compact structure, reasonable design and customized service. Ellsen take in consideration all customers need. 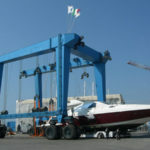 Marine travel lift is mainly used for lifting and transporting boats. Suitable travel lift can lift boat easily, safely and quickly. 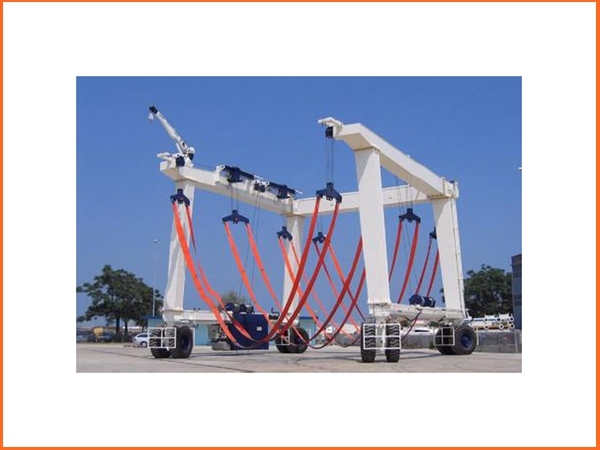 The customized design can ensure suitable boat hoist crane. Not every company can provide such service, only strong company like Ellsen can provide customized service to meet practical needs. 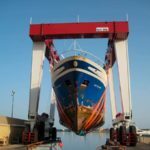 For lifting tons, Ellsen has light duty travel lift and heavy duty travel lift, such as 10 ton marine boat hoist and 100 ton marine boat lift. For lifting energy, Ellsen customized travel lift include electric boat hoist and hydraulic boat hoist. 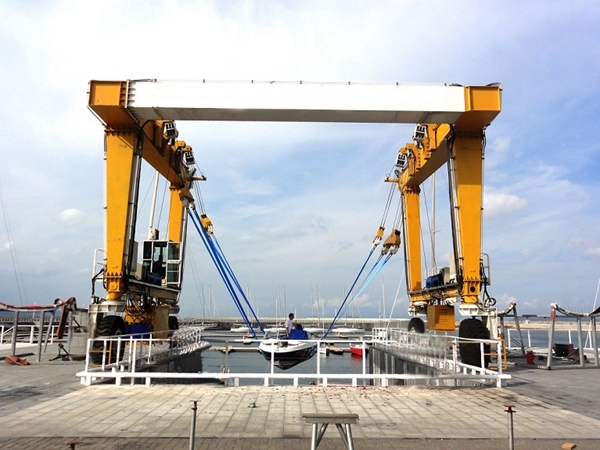 For lifting occasion, Ellsen safe driving lift crane has straddle travel lift, yacht travel lift and amphibious travel lift. 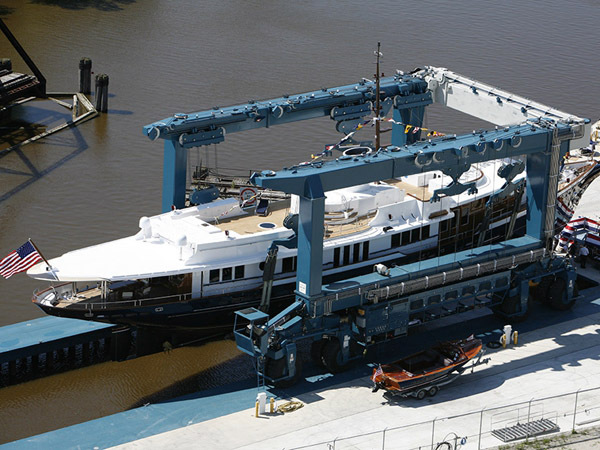 For operation, Ellsen design cranes as cabin control travel lift and remote control travel lift. Both of them are easy and safe to operate. Ellsen design cranes to increase lifting capacity while improving speed and efficiency. 35 ton mobile boat hoist is one fast machine and is the ideal solution for marinas and yards with heavy lifting traffic.